Hand #19: Hien Nguyen open-shoved his last 290,000. 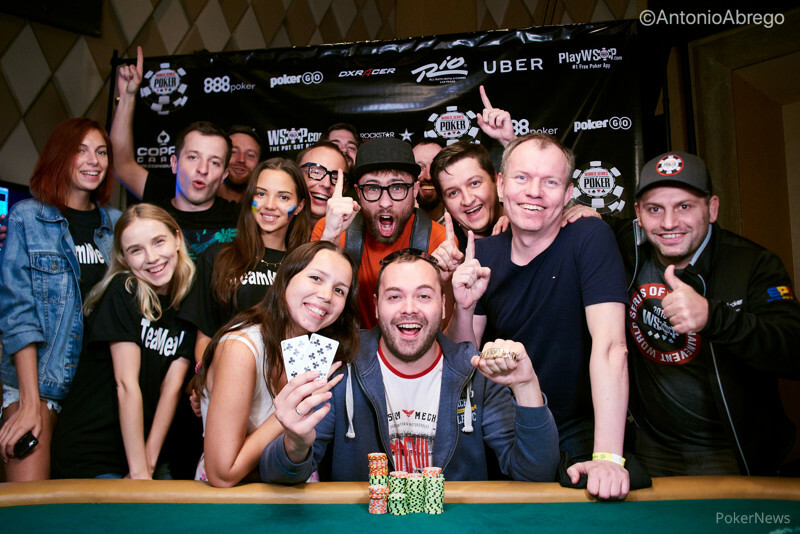 It folded to Denis Timofeev in middle position who raised to 500,000. The remaining players all folded. "A classic flip," said tablemate Ben Yu, "Fours against king-five." 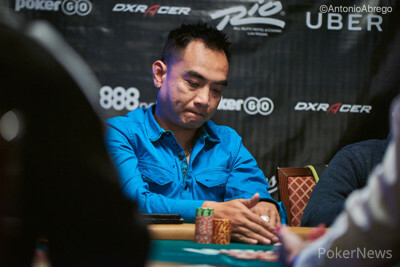 The board ran out with Nguyen missing counterfeit outs to bust in seventh place.